Eating a variety of foods has been recommended for decades. Encouraging people to eat a variety of foods, also known as dietary diversity, may actually backfire, according to a new scientific statement by the American Heart Association. The suggestion that people try to eat a variety of foods has been a basic public health recommendation for decades. Now, experts are warning that it may actually lead to just eating more calories -- and to obesity. The issue: People may not interpret "variety" the way nutritionists intend. Marcia Otto, Ph.D., lead author of the AHA advisory, said that can be a big problem. "We looked at all the evidence that was out there and saw a link between dietary diversity and a greater intake of both healthy and unhealthy foods," said Otto, an assistant professor in the Department of Epidemiology, Human Genetics and Environmental Sciences at the University of Texas Health Science Center's School of Public Health in Houston. "This raised some red flags and had implications on obesity -- we saw a greater prevalence of obesity amongst people with a greater dietary diversity." (STOCK PHOTO/Getty Images) Healthy cut fruit and vegetables on display in store window of a grocery store in the East Village, New York, N.Y.
Dr. Dariush Mozaffarian, co-author and dean of the Friedman School of Nutrition Science and Policy at Tufts University, explained that this goes against standard dietary advice. "Most dietary guidelines around the world include a statement of eating a variety of foods," Mozaffarian told ABC News. "'Grandma’s wisdom' states to eat ‘everything in moderation,’ but does science support that?" 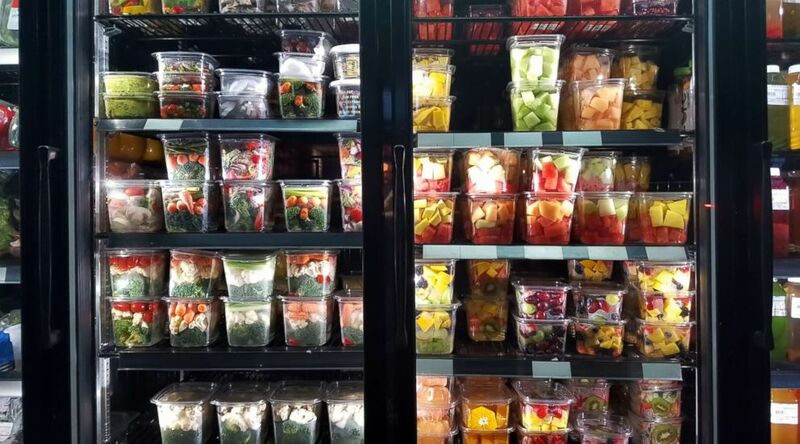 There is little agreement about the definition of "dietary diversity," said Dr. Goutham Rao, co-author and chair of the department of family medicine and community health at University Hospitals of Cleveland and Case Western Reserve University. Rao also pointed out one of the problems to ABC News: "What does dietary diversity actually mean? It is not clearly and consistently defined across the board, and there is no useful measure of it." Some measure a food count, aka the number of food groups eaten, or "evenness," the distributing of calories evenly across individual foods, or by how different the foods are from each other. Rao explained that the feeling of fullness is important. "The phenomenon of sensory satiation is very important -- when something new is presented to us, we tend to eat more and more," Rao said. "For example, people who go on cruises tend to gain a lot of weight because restaurants are usually open all the time with a variety of foods." After 20 years of experience in the field of obesity, Rao said he's observed: "People who have a regimented lifestyle and diet tend to be thinner and healthier than people with a wide variety of consumption." 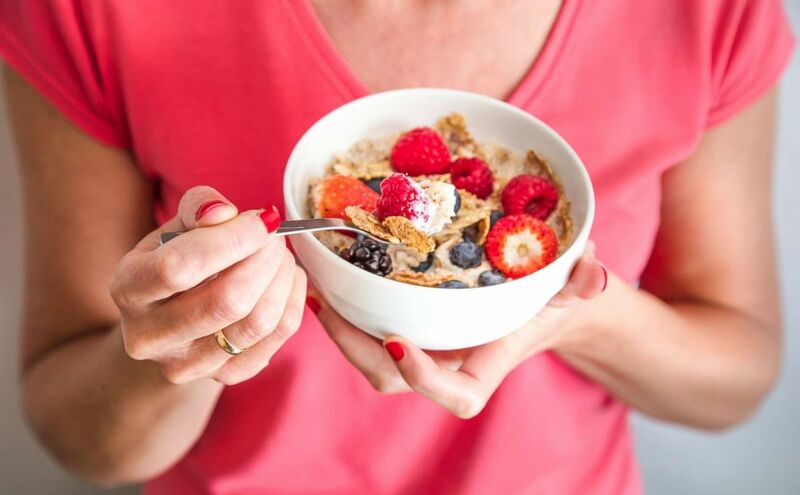 (STOCK PHOTO/Getty Images) A woman holding a bowl containing homemade granola with oat flakes, corn flakes, dried fruits with fresh berries. He added that he's noticed this pattern for a very long time in his patients. The authors of the AHA scientific statement conducted a review of articles published between January 2000 through December 2017. So, what were the authors' conclusions? There's no evidence that dietary diversity promotes healthy body weight or optimal eating patterns. Limited evidence shows that eating a variety of foods is actually associated with more calories, poor eating patterns and weight gain. There is some evidence that a greater variety of food options in a single meal may delay people's feeling of fullness and actually increase how much they eat. What's their advice on what you should eat? 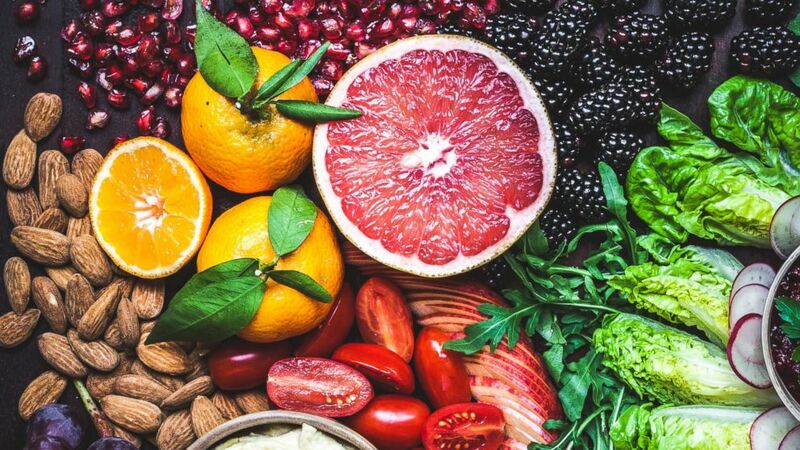 (STOCK PHOTO/Getty Images) A rainbow of colors and textures in this vibrant and healthy snack board of fruit, vegetables, dips, nuts and olives. The researchers recommend eating more plant-based foods, which includes fruit, beans, vegetables and whole grains. Additionally, they recommend adding low-fat dairy products, nuts, poultry, fish and vegetable oils to your diet. It's important to limit sweets, sugar and red meat -- the more problematic parts of a "diverse" diet. "Part of the advisory's recommendation reflected changes to the food system that have developed over time -- centuries ago, food was not heavily processed and vitamin deficiencies were a very real concern -- diversity in diets may have actually been very beneficial during that time," Mozaffarian explained. "Nowadays, 'everything in moderation' can be misinterpreted and feed into the food industry. When we conducted a comprehensive literature search, none of the studies convincingly showed that diverse diets lead to better health outcomes. In fact, studies show that the more diverse a diet is, the worse it is and more weight people gain." Mozaffarian’s own impression as a scientist is that a diet with a limited number of healthy foods eaten regularly tends to be the healthiest. Good examples of healthy eating are the Dietary Approaches to Stop Hypertension, or DASH, diet, a heart-healthy eating plan, and the AHA dietary recommendations. Dr. Anna Chacon is a dermatologist and part of the ABC News Medical Unit.